Sources: Greer, Don. 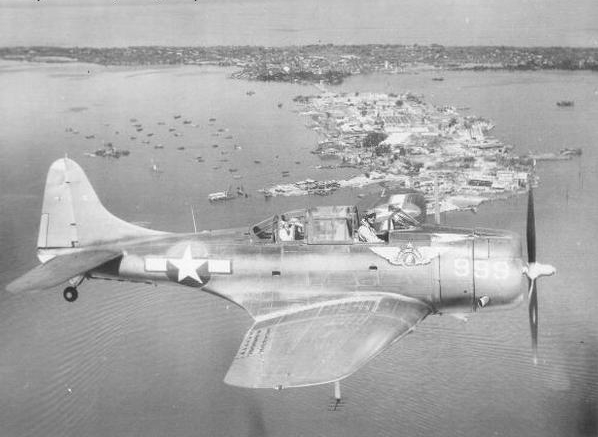 SBD Dauntless in Action, No.64. Squadron/Signal Publications, Carrollton 1984. ISBN 0-89747-153-9. Brazzelton, David. The Douglas SBD Dauntless, Profile No.196. Profile Publications, Leatherhead 1967. Smith, Peter C. Douglas SBD Dautless. Crowood Press, Ramsbury 1997. ISBN 1-86126-096-2. Francillon, Rene J. McDonnell Douglas Aircraft Since 1920, Volume I. Naval Institute Press, Annapolis 1988. ISBN 0-87021-428-4. 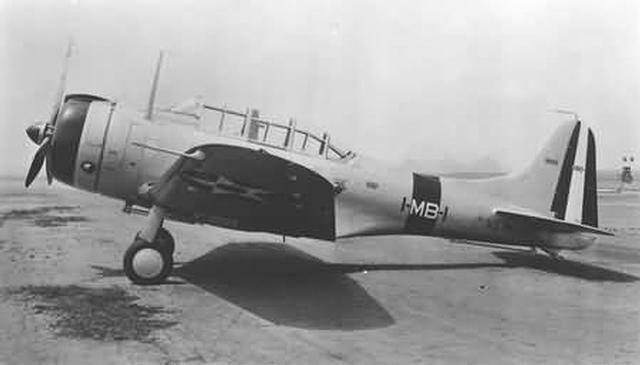 Douglas SBD-1 Dauntless z výzbroje jednotky VMB-1 americké námořní pěchoty ze základny Quantico ve Virginii, rok 1941. Pod kabinou střelce je znak US Marine Corps.